Celebrate with this Apricot Martini! Some Trivia and Health Benefits of Apricots Here. 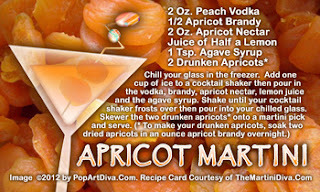 Happy National Apricot Day from The Martini Diva!